Miles is the proud owner of SERVPRO of Lake Worth. After completing his BA in Business Management from Jacksonville University, Miles headed home to Pittsburgh to help run the family business. "To be successful, you must surround yourself with the best people," his Grandfather's quote stuck with Miles as he established his own companies. Since relocating to Boca Raton in 1989 Miles has been involved in four significant business ventures. His MMS company was charged with cleaning as many as 40 houses per day of the "Rich and Famous." Next up was an Extermination company that complemented the cleaning service. Miles continued along his path of providing great customer service when he purchased a franchise from a national corporation for cleaning carpets and upholstery for his upscale clients. This logical progression of developing and stitching together disparate companies into a comprehensive cleaning service led to his greatest feat--Four SERVPRO Franchises. This SERVPRO of Lake Worth outfit he dispatched in 2017 to help the residents of Houston overcome the catastrophic effects of Hurricane Harvey. A total of over 20 technicians and seven trucks hit the road to help and as we say, "Painting the Town Green." 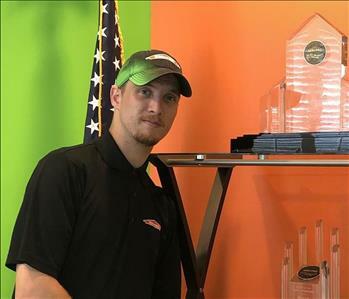 Miles is gratified to have this business venture ranked in the top 100 of over 1700 SERVPRO franchises. No job is too big or too small for our Large Loss Team--give Miles a call, he is keen on customer service. Our Office Greeters at SERVPRO of Lake Worth are the famous duo of Riley on the right and Charlie on the left. With a wagging tail, a short bark, and maybe a lick on your hand, they are awesome welcomers. Charlie barks that he is the After Photo following a cleaning project, and Riley is the Before Photo. Don is our Marketing Director at SERVPRO of Lake Worth. He has over 30 years of hands-on experience in the construction industry in South Florida. Miles Early, our owner, persuaded him to come out of retirement to spearhead our Large Loss Division into bigger and greater successes. Don is dedicated to getting the job done quickly and professionally. We anticipate that our SERVPRO brand can grow even more as a strong contender for residential and commercial catastrophic recoveries. 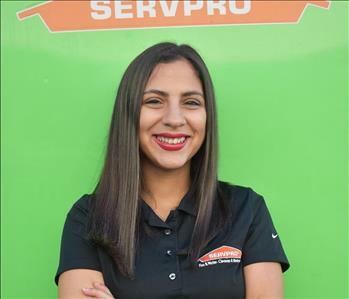 Jessie is our Office Manager at SERVPRO of Lake Worth where customers, clients, and our crews can always reach her at (561) 588-9777. She joined our family in 2016 as a job coordinator in our office. Her duties included scheduling the production teams on their appointed assignments, ensuring that all documentation is accurate and completed promptly. Jessie stresses customer services and sets the tone that we all follow. She is a valuable person, just ask our customers. Lesley is a Sales and Marketing Rep (SMR) at SERVPRO of Lake Worth. She hails from New Jersey and has been in our area since 2015. Lesley is multi-talented as she strives to increase our footprint in our service area. She is an author, editor, and proofreader with a book currently on Amazon. Lesley is a tenured Secondary English, and Creative Writing teacher and is also a Life Coach with her focus being on adolescent demographics. When not meeting with customers and business contacts Lesley uses her time enjoying yoga, family, friends and her dog Isabelle. 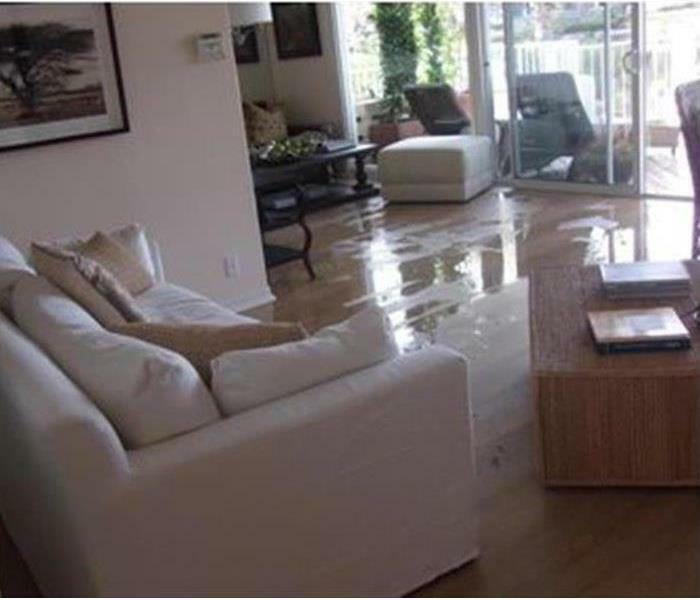 If your residential or commercial property suffers water, fire or mold damage ... call our team for a fast response. Felipe is a Project Manager at SERVPRO of Lake Worth and leads by example. His strong personality is contagious, and our customers appreciate the dedication he offers along with our crews. His many years of experience including large loss and disaster recovery makes him a valuable asset to our company. Felipe is ready to take 30 technicians on a long road trip again to help with a storm or hurricane cleanup and restoration project. Always ready to help. Robbie is a project manager and helps manage restoration projects for both residential and commercial customers. He has the following certifications from the Institute of Inspection Cleaning and Restoration Certification (IICRC): Water, Fire and Restoration. Robbie also completes appropriate documentations, and provides excellent customer service to all of our clients. In his spare time, Robbie enjoys fishing and hunting. 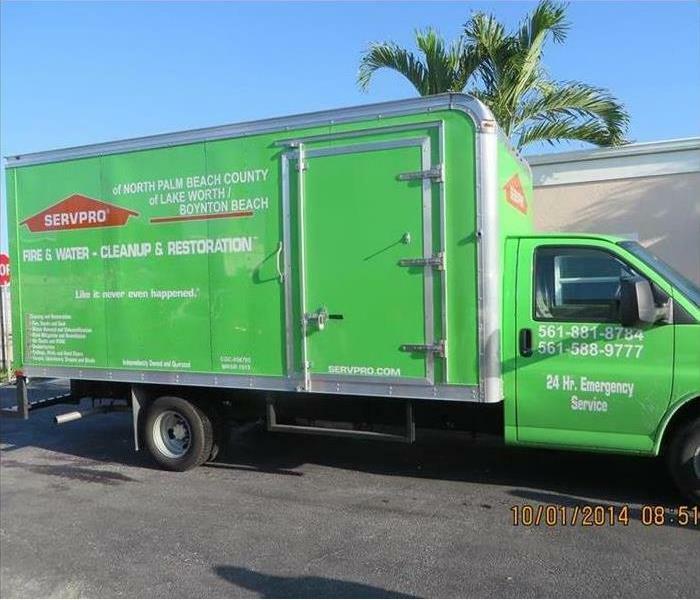 Call SERVPRO for water, fire, smoke, flood, storm and mold remediation in the Boynton Beach area. 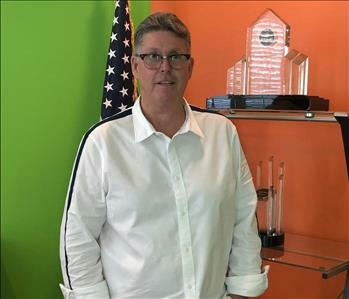 Mark is a Production Technician at SERVPRO of Lake Worth since 2018. He is a very outgoing person who is willing to pitch in and help wherever he is needed. Mark helps to keep the warehouse clean, organized, and he can do just about anything. Mark puts his technical skills to work for flood water removal and other emergencies; he is always there, ready to help.